Realm of the Damned: Tenebris Deos. The special Hard cover edition! 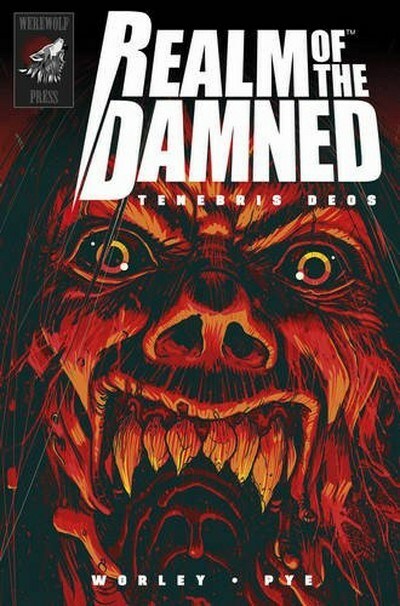 This is Realm of the Damned: Tenebris Deos, a graphic novel of pure Black Metal horror that unleashes the classic gothic monsters on a modern rampage of redemption and damnation. Raw, fast-paced and bristling with atmosphere, this is a bloody and blasphemous epic that leaves no church unburned. With appearances from Behemoth, Emperor and Mayhem this is a hellride of a book featuring some of Black Metals greatest warriors! There’s no one left to protect us from what lurks in the dark. No one is coming to save us.